My stay at this hostel was amazing. The staff were great especially Edwin and Daniela. Gunther was welcoming and his BBQ skills are as advertised. The location of this hostel is very hard to beat. 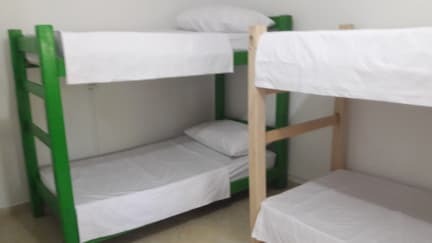 I would certainly recommend this hostel to my friends or anyone who wants to get acquainted with Medellin. Finally, every tour I booked through this hostel was incredible, especially the soccer tour and Guatepe. Loved this hostel because it was nice and quiet and not a party hostel but in a great location close to tons of bars and restaurants less than a 10 mins walk in a safe part of town. Close to super markets and metro. The owner & the staff are amazing and go above and beyond to make you feel welcome and experience the best of Medellín! And the BBQ on Sundays highly recommend. We loved this hostel and the owner Gunther was so nice and welcoming! If you’re in Medellin on a Sunday night we really recommend staying here because they have amazing Sunday barbecue! I really enjoyed my stay at the sugarcane hostel. It’s clean, it includes breakfast and a towel. Also, it’s really easy to meet people because everyone has breakfast together and there’s a table on the terrace where everyone sits. Gunther, the owner, is super helpful and gave me advice on where to go after Medellin and he makes a wonderful BBQ on Sunday’s ! Would definitely recommend! perfect location next o lots of bars and cafes, giant supermarket just round the corner and a 5 min walk to the metro station, Gunther was so welcoming, friendly and helpful in giving info about Medellín. Favourite part about this hostel was the breakfast: tons of bread, eggs, cereal and fresh bananas to DIY so you can have as much as you like. Great big kitchen to cook in and lovely atmosphere on roof terrace as everyone sat around the same table and got to hang out. Would highly recommend!! I read a lot of reviews before staying at Sugar Cane. 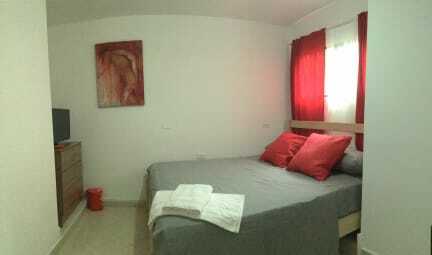 The location is perfect as it is less than 10 minutes walking to the metro and close to bars and restaurants. Los Patios hostel is also a block away for reference and there is an exito supermarket 5 minutes away by foot. The owner, Gunter, is extremely friendly and inviting and the hostel is clean with tons of bathrooms to use. I highly suggest taking the tour to Guatape through the hostel with David. Very safe area as well to walk around. The German man who owns the hostel is amazing. He went out of his way to help at every chance he got. I also had an infection in my hand, and one of his staff cut off a huge aloe Vera leaf from one of their personal plans, skinned it, then gave it to me to apply on my infection. Infection cleared up within 2 days. I highly recommend this hostel! Really loved my stay at Sugar Cane. Gunther and his staff are so friendly and accommodating. Super clean rooms and bathrooms. Nice rooftop kitchen and terrace that's good for socialising. Kitchen is also super clean. Really chill vibe, not a party hostel at all but can go out to nearby bars etc if you want. Great rooftop terrace and fantastic Sunday bbq. Easy to meet people. The Hostel is very small, second floor of a building with a rooftop that is where the kitchen is at. Nice basic breakfast(DIY) included. The staff were very nice, and they can help you with different tours around the city.